Electronic cone to cone Winder model SED has been developed after long research and in strict collaboration with the final users. It works as a normal cone to cone winder and permits to recover the yarn from defective knitting clothes. Realized in three versions with two, four or six heads and 6” traverse. •	Speed: independent and adjustable in each head. 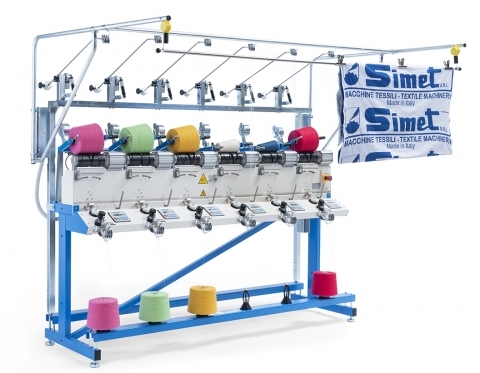 Allows to optimize the speed of each single ply of yarn. •	Anti-stirrup device. Avoids the malformation of the packages. •	Each head is completely independent from the others. For example, it is possible to use some heads for recovering and others to make normal winding operations. 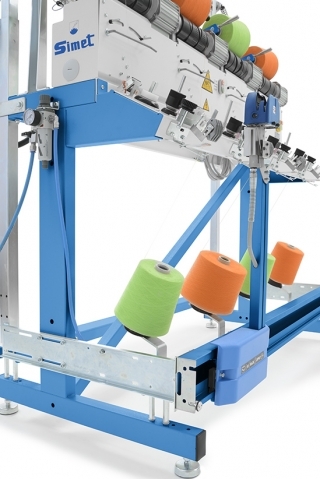 •	Acceleration ramps and electronic braking controlled in each head and yarn passes protected by porcelain, avoid any rubbings dangerous for the yarn quality. •	Radial anti patterning system: adjustable in each head. 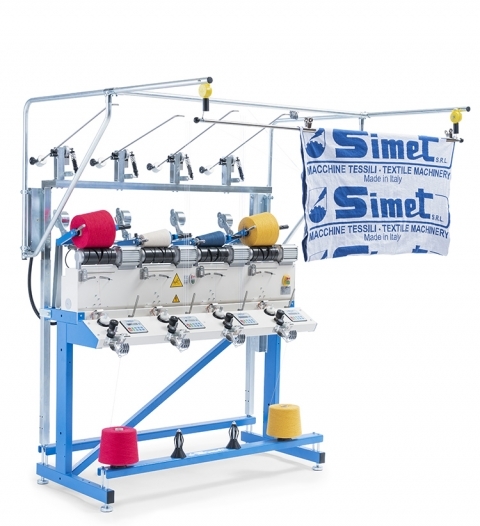 •	Yarn tensioning system with shock absorber which avoids the breakage of delicate yarns. •	Standard equipment with electronic multi-function meter counter, independent and adjustable in each head. It allows the setting with only few and easy operations and permits to choose very easily the function which has to be made (recovering or winding) with the corresponding head. •	Complete of cloth support.